The German final was held at the TV studios in Frankfurt, hosted by Marie-Louise Steinbauer. Six songs took part and were voted on in two stages by a 7-member jury. In the first round each judge awarded 1 point to their three favourite songs, and the lowest-scoring three were eliminated. The judges were then asked to award 1 point to their favourite of the three remaining songs, and "Wunder gibt es immer wieder" was the unanimous choice. 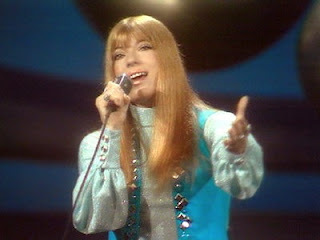 Katja Ebstein is a German singer and actress, her real name is Karin Witkiewicz, In 1970, 1971 and in 1980 she represented Germany in the Eurovision Song Contest.